A series celebrating the talent of our friends over in the Londonist Flickr pool who make our site look pretty with their fabulous photographs. Here, they introduce themselves and share their favourite London shots. 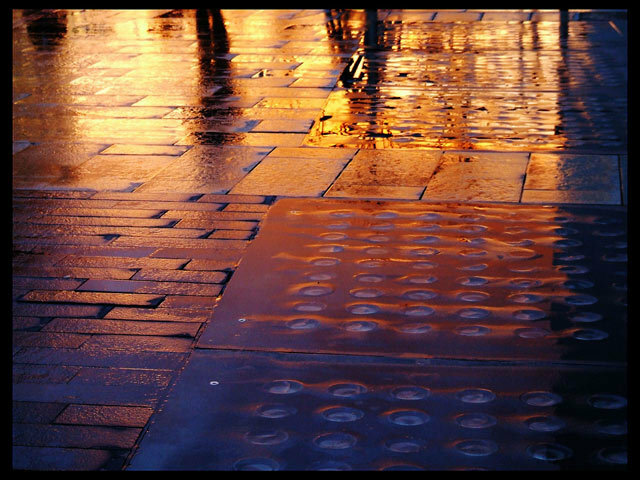 Fire and Water: sunset reflected in the wet pavement, Royal Festival Hall. I’ve always been fascinated by the sheer scale, complexity and unknowable nature of London. Although I’ve lived here for the best part of quarter of a century (I originally hail from Gateshead), my inner tourist is still eager to sally forth with an A-Z and a camera to seek out unfamiliar bits of the metropolis, and to revisit old haunts. The city is in constant flux, and walking its streets is like being in some vast archaeological dig. As new buildings spring up, echoes of the past make themselves apparent – ghost signs, bygone enterprises, architectural relics and other oddities. I love the chaotic juxtaposition of old and new, so much more apparent in London than any other city I know. Having originally trained as a painter, at an establishment which discouraged the notion of photography as an art form, I nonetheless persevered with the snapping, first with a succession of 35mm compacts and then with an Olympus OM10 SLR. A couple of years ago I finally made the leap to digital, with the purchase of a Fuji Finepix S9500, and soon afterwards discovered the joys of Flickr. I’m not the greatest technical photographer, but I have good idea of the pictures I’d like to make, and through a highly unscientific process, quite often involving a bit of Photoshop, I’ve made some images I’m quite pleased with. The results I arrive at are quite often quite abstract in their composition, but this is generally done in-camera rather than cropping afterwards. However, I don’t see any harm in a bit of computer jiggery pokery to achieve the results I want – ultimately it’s all part of a very subjective and selective image-making process, in much the same way that drawing and painting are. 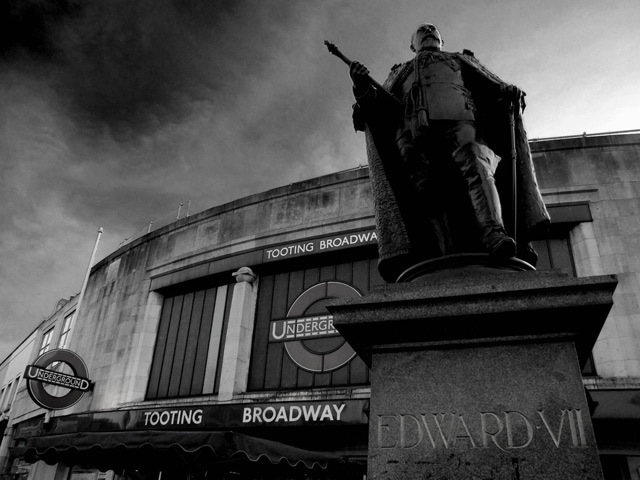 Freedom for Tooting: King Edward VII Statue, Tooting Broadway. I carry my camera with me whenever I can, (and when I don’t have it there’s always the camera phone), because in this city there’s always the chance of something amazing and unexpected around the next corner. 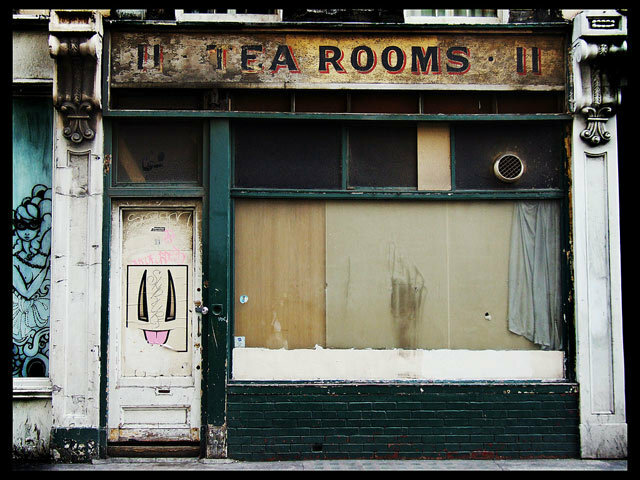 Going on photo – jaunts (or indeed on photo – ambles) is a great way to familiarise oneself with the hidden recesses of London. Many of these odd details are to be found in one of my favourite Flickr groups, guesswherelondon. I can heartily recommend this as an enjoyable (if highly addictive) way of satisfying a pedantic urge to mentally catalogue our city’s nooks and crannies, from Wood Green to Croydon. There’s a still a lot of London out there that I haven’t seen yet, and as I don’t much fancy being a cab driver, I think I’ll stick with photography. See more of Ronald's London images in this set. If you're a Flickrist don't forget to join our group and tag your quirky London photos "Londonist".